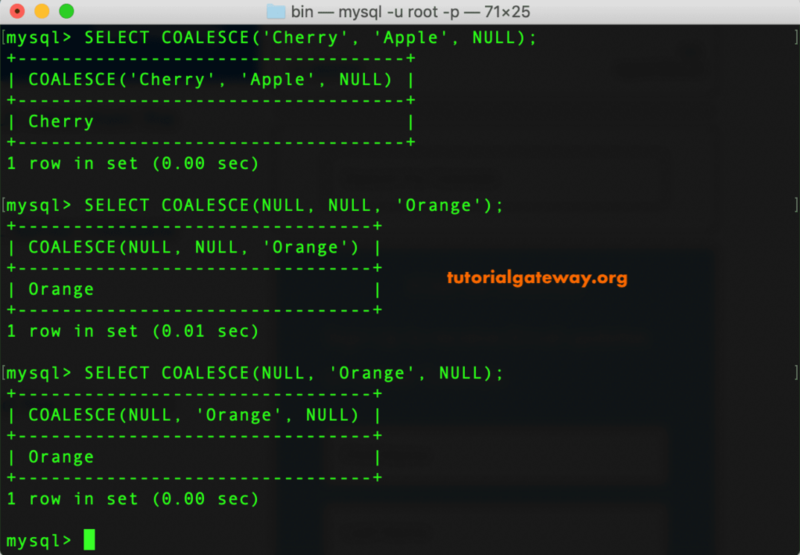 The MySQL COALESCE function returns the first not Null value from the series of expressions, or NULL if there are no Not Null values. 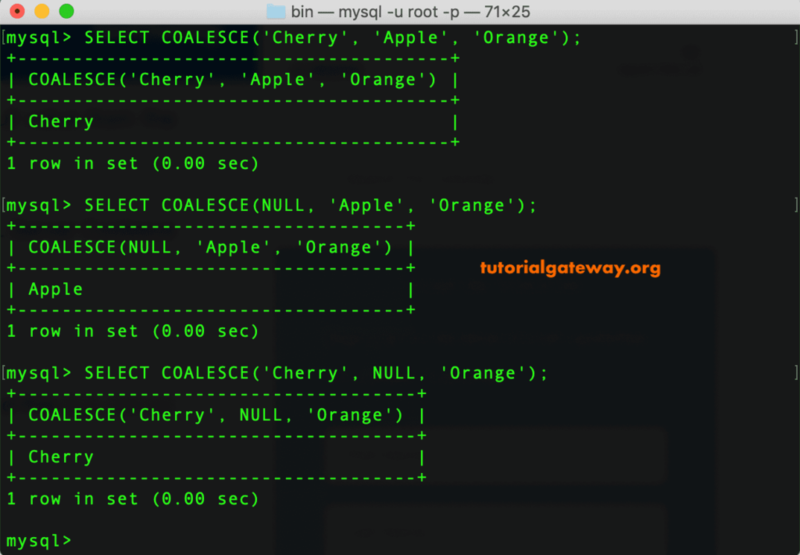 In this example, we will show you, How to use this MySQL Coalesce function on String data. The first statement returns Cherry because Coalesce function returns the first not Null value. The second statement returns Apple because first value is NULL. Here, the second statement returns Orange because the first two arguments or values are NULLs. 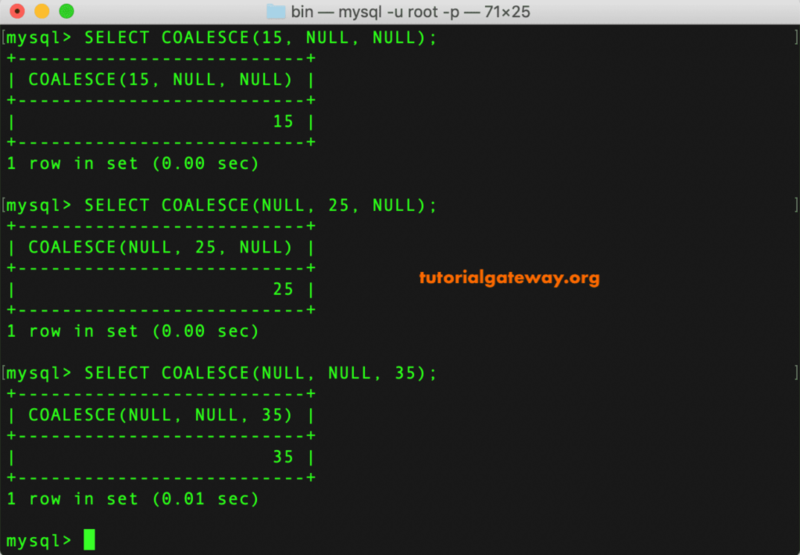 This example shows the working functionality of MySQL Coalesce on Numerical values. This is same as above. 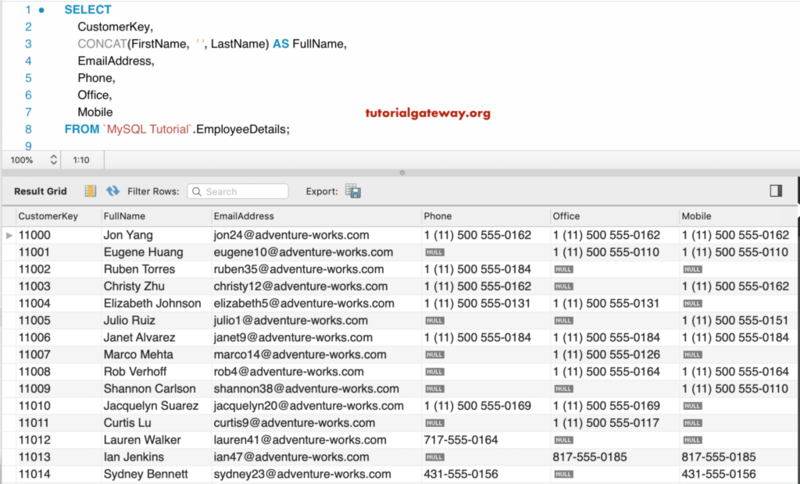 In this example, we will show you, How to use Coalesce function on a table data. 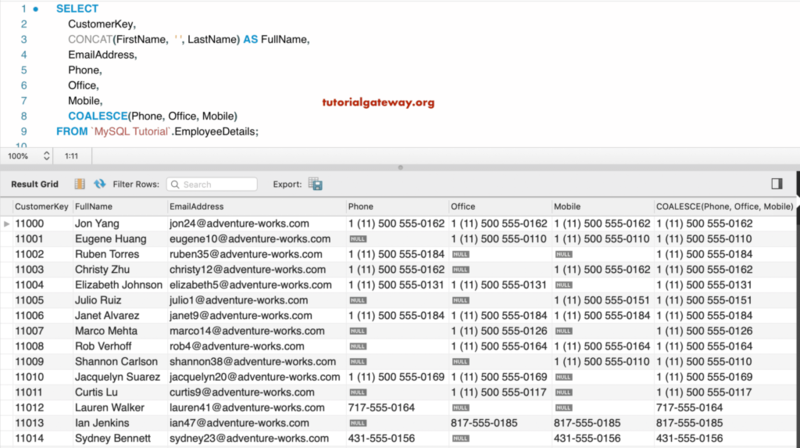 For this demo, We are going to use the Employee Details table which contains following records. If an employee has Personal Phone number, return the Phone number. If he does not have Personal Phone number, but he/she has a Office Phone number then, return the Office Phone number. And, If an employee does not had a Personal Phone number or Office Phone then Coalesce function look for Mobile phone number and return the same. 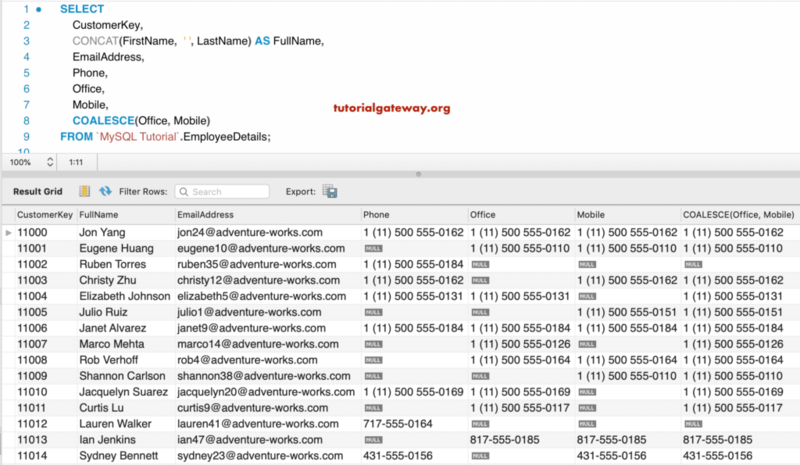 If he had all the numbers then MySQL Coalesce function will return Personal Phone number.